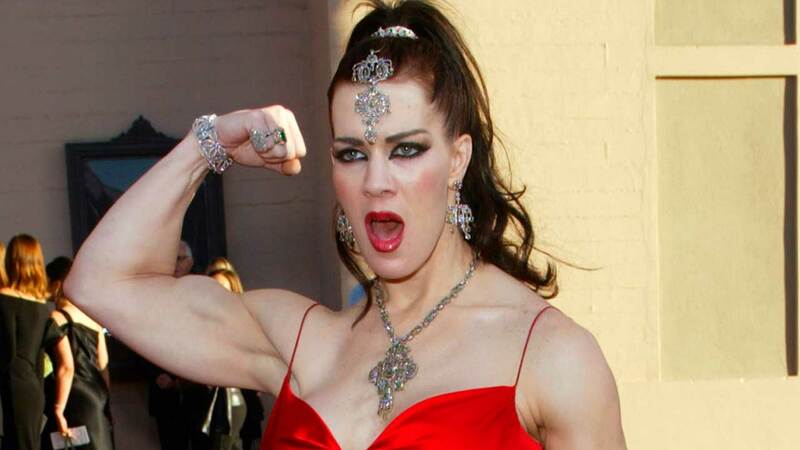 In this Nov. 16, 2003, file photo, Joanie Laurer, former pro wrestler known as Chyna, flexes her bicep as she arrives at the 31st annual American Music Awards, in Los Angeles. LOS ANGELES -- The death earlier this year of wrestler Chyna was caused by the combined effect of alcohol and drugs, the Los Angeles County Coroner's Office said. Chyna, whose real name is Joan Laurer, was found dead in her Redondo Beach apartment on April 20. She was 46 years old. The coroner's office said Laurer died accidentally from a combined effect of alcohol and drugs. According to toxicology tests, the drugs in her system included valium, oxycodone and the narcotic painkiller, oxymorphone.